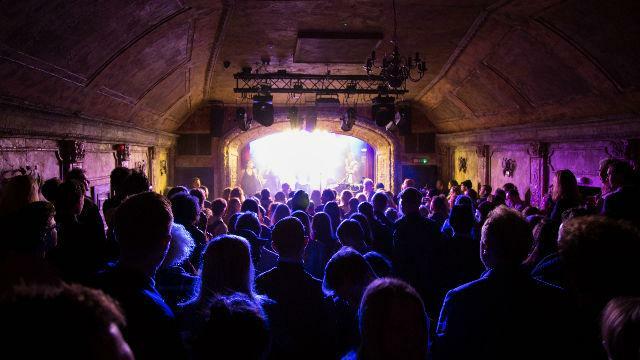 Let your hair down at atmospheric music venue Omeara, a short walk from London Bridge and Borough Market in the “Low Line” area of Bankside. The brainchild of Mumford & Sons’ Ben Lovett, this venue doesn’t hide from its location with bare walls and an exposed arched roof, helping to create some of the best acoustics around. Having only opened in 2016, it’s already attracted the likes of The Pretenders, The Maccabees, Biffy Clyro and, of course, Mumford & Sons. As well as rock and indie gigs, you’ll find club nights featuring top DJs such as Trevor Nelson, plus regular LGBT+ events named Little Gay Brother. Enjoy drinks – plus food bought from the various vendors in Flat Iron Square – at adjacent Omeara Cantina before performances; and look out for events and pop-ups within The Siding and The Terrace spaces.